A database search suggests that the first article in a mainstream Canadian news outlet that criticized the United Nations’ new migration compact appeared on the Toronto Sun website on Nov. 30. That document – officially the Global Compact for Safe, Orderly and Regular Migration – is now a high-stakes controversy from which both Conservative Leader Andrew Scheer and Liberal Leader Justin Trudeau hope to profit. One of them is making a mistake. But right now, it’s hard to know who. This may well be true. But had it not been for the conservative media and Official Opposition sounding the alarm, most of us would never even have heard about the compact, much less Canada’s decision to join it. Parliament hasn’t debated or voted on the agreement; the government hasn’t bothered to consult Canadians on whether they oppose or support it. This is foreign policy conducted in the dead of night. However, there is one significant problem with Mr. Scheer’s claim that the compact will “erode our sovereign right to manage our borders.” The problem is that the thing is innocuous, a succession of bland paragraphs promising to promote this and consult on that. There is a foolish clause on “sensitizing and educating media professionals.” Otherwise the document mostly commits states to sharing information, fighting human trafficking and abiding by the rule of law. Nothing to see here. Move along. Except that’s not how others treat the document, pro and con. Con: The United States – well, of course, with Donald Trump as President – Australia, the Dominican Republic and Chile have not signed, along with Israel and a clutch of countries in Eastern Europe, where migrants are deeply unpopular. Rightly or wrongly, some analysts see things in those bland paragraphs that could force countries to increase their immigration and refugee intake. This is one reason why the Conservatives are making such a big deal of the accord. Another is that demonizing the compact fits with a narrative they wish to construct: that the Liberals have lost control of the immigration system, that tens of thousands have streamed across the border illegally and that now the government is surrendering sovereignty to a dysfunctional, even corrupt, United Nations. The truth is that, over the past six months or so, the government has managed to greatly reduce the flow of asylum claimants entering Canada from the United States. And, as I and wiser minds read it, the migration compact surrenders not a jot or tittle of Canadian sovereignty to the UN. But many Canadians do worry about losing control of the border. This doesn’t make them anti-immigrant; it just makes them anti-uncontrolled-immigration. And even those who support increased immigration may shake their heads at the Liberal inability to manage major files. As the Tories might put it, the Liberals can’t build a pipeline, can’t control the border, won’t balance the budget. But on the immigration issues, at least, this strategy comes with great political risk for the Conservatives. 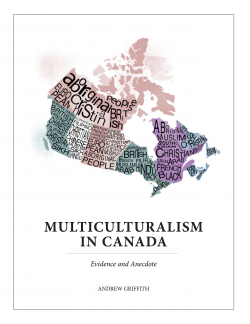 More than half the population of Mississauga is not Caucasian. Fifty-three per cent of the population of Richmond, B.C., is ethnic Chinese. If suburban immigrant voters decide that the Conservatives have become anti-immigrant, even nativist, they will shun the party and the Conservatives will lose the next election. You cannot win at the federal level without substantial support from immigrant voters. There are just too many of them. The Liberals take pride in how they’ve handled immigration and are happy to campaign on it. The Conservatives think the Liberals are vulnerable on immigration and are happy to campaign on it. Who is right? It will take an election to find out. One hundred and sixty-four countries agreed to the UN Global Compact for Safe, Orderly and Regular Migration in Morocco on Monday. And while the ship has long since sailed, in theory, there are quite a few things in there that Canadian conservatives might have gotten behind. Signatory countries “aim to facilitate safe, orderly and regular migration, while reducing the incidence and negative impact of irregular migration.” The Tories have been demanding precisely that along the New York-Quebec border for two years. It’s Tory immigration policy in a nutshell. There is no reason for conservatives to apologize for their general skepticism of these aspirational multilateral exercises, or of the UN as a general concept. The fact that it’s non-binding — as various Canadian academics joined forces to insist last week — really isn’t a very compelling argument for ratifying it. Canada’s commitment to multilateralism transcends parties, but whereas Liberals tend to see signing a non-binding commitment as an accomplishment in its own right, Conservatives tend to see it as meaningless if there’s no follow-through. Again, they’ve nothing to apologize for there. Failure is in no way redeemed by a previous non-binding commitment not to fail — rather the opposite, in fact. And in the case of the migration compact, Canada is already doing just about everything signatory states are committing to do. Well, sorry — its defenders insist it commits us to nothing, so we must sign it. Scheer did hit on one valid criticism: that the compact “attempts to influence how our free and independent media report on immigration issues.” He refers to paragraph 33(c), which suggests states “promote independent, objective and equality reporting … by sensitizing an educating media professional on migration-related issues and terminology.” It’s gross: There is nothing any government anywhere in the world should do to promote independent reporting except allow independent reporting to occur. Peters also argues “the compact will not generate legally binding obligations,” though, and distinguishes it from documents like the UN Declaration on Indigenous Peoples, which eventually found its way into Canadian law (as the National Post’s John Ivison recently observed). “In contrast to the Migration Compact, the Indigenous Peoples’ Declaration looks much more like a treaty with short and clearer provisions,” she writes in a blog post at the European Journal of International Law. In short, the Conservatives should have been able to mount a vigorous case against ratifying a document the best case for which seems to be “why not?” Instead, fronted wholly unconvincingly by the dimpled and hopelessly inoffensive Scheer, they seem determined to dip a toe in the ongoing battle between globalism and nationalism. It’s not at all convincing. It’s like they’re playing a schoolyard version of the culture war that’s roiling the United States and Europe, confident that Canada’s strong and stable consensus around immigration will prevent it from blowing up for real. I suspect they’re right about that. It’s the same sort of tactic to which Alexander stooped with his “barbaric cultural practices” tip line, for which he has since repented. But it’s unserious at best, and I’ve seen no evidence it’s what Canadians — conservative or otherwise — are looking for.